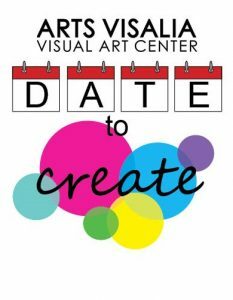 Arts Visalia is pleased to announce the kickoff of our very own Date to Create nights! These one-of-a-kind workshops will be a fun chance to create art projects for your home, the holidays, and gifts for any occasion. Come with your friends or family! From 6-8pm at Arts Visalia. More information regarding cost and the crafts of the month can be acquired by phone (559) 739-0905 or email artsvisalia@sbcglobal.net.